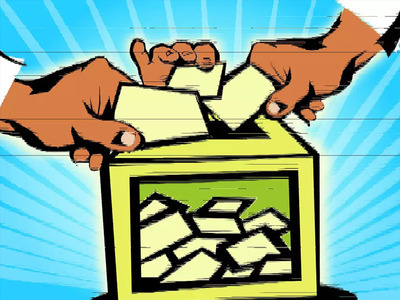 Meghalaya is all set for the ensuing by-election to Ampati Assembly constituency in the State on May 28 next. The Election Department has arranged for 61 ballot units and 65 Voters Verifiable Paper Audit trail (VVPAT) for the 39 polling stations. This was informed by the Chief Electoral Officer (CEO), F R Kharkongor. He further added that the additional EVMs and VVPATs were kept on reserve in case of any malfunction. However, he reiterated that usually failure of EVMs was below two per cent. Meanwhile, four companies of Central Armed Paramilitary Forces have reached Ampati for the smooth conduct of the elections. It may be mentioned that one company of CAPF will be stationed in the constituency after the polls for guarding the strong room and duty on votes counting day. Meanwhile, the CEO further informed that there is no report of any case of violation of model code of conduct by any party leaders or political parties in the constituency during the run up to the polls. The by-election has become a prestige issue for the Congress as it was the hot seat for former Chief Minister Mukul Sangma for ages. On the other hand, the National People’s Party (NPP) is leaving no stone unturned to wrest this prestigious seat from the Congress bastion. Aggressive campaigning was witnessed from all leaders from different political parties for their respective candidates in the constituency. Ampati by-election is witnessing a triangular fight among the Congress, NPP and an independent candidate.